What if I do not use Oberlo for importing products before? You are confused, what if you don’t use Oberlo before Ali Orders for importing products? For making this cleared, if you do not Oberlo for importing products, it won’t be able to bulk update AliExpress links for your products by "1 Click Sync Product" feature. Go to AliExpress website, find the original link of a product and copy this link. Go to Product list > Filter “Unknown source” > Click on “update” button for every single product to update the link manually. 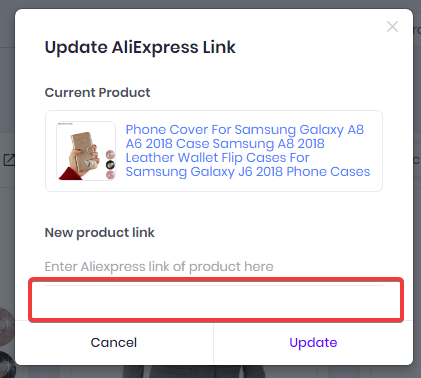 Enter product URL (AliExpress product) > Click on "Update" button. Map variants (if can not auto map).